So you’ve made the decision to buy a portable hot tub. That’s the first step on your path to enjoying hot tub health benefits and daily transformation through hot water therapy. The next steps on your journey are crucial ones. 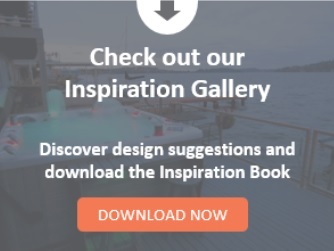 You’ll decide which is the best hot tub model to buy, what hot tub accessories you want and who will earn your business. Buying from a trusted brand and an established local dealer can make or break your ownership experience. Buying a hot tub is an investment for your family. 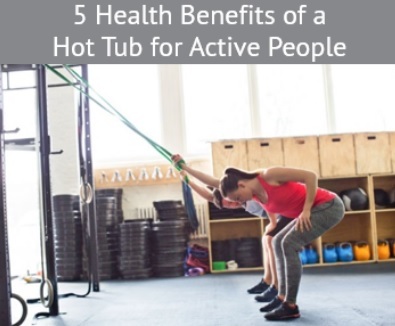 A hot tub can provide health benefits that will improve your well-being. Regular hydrotherapy can promote relaxation, stress relief, muscle recovery, meaningful connection with loved ones, self-reflection and even improved sleep. A lot of hot tub makers claim to be the “best hot tub.” What does that really mean? How do you know you’re really getting the most value for your money? And how much does a quality hot tub cost? We broke it all down into a purchase decision flow that addresses questions you may have – and maybe a few you didn’t think of! Q: I know how much money I have to spend. Aren’t all portable hot tubs pretty much the same? They hold warm water and they have jets, right? It’s just a matter of who is willing to give me the best price and most for my money. A: That’s not true at all! First, there are key questions you need to ask yourself before choosing a spa. Aside from differences in size – do you need an 8-person hot tub or a 2-person hot tub? – there are many variables on your journey to find your perfect hot tub. Quality, reliability, energy efficiency, jet performance, warranty, service and even beauty should all be considerations. Caldera® Spa hot tubs range in price from about $4,000 to $15,000 and higher, depending on size, features and other variables. 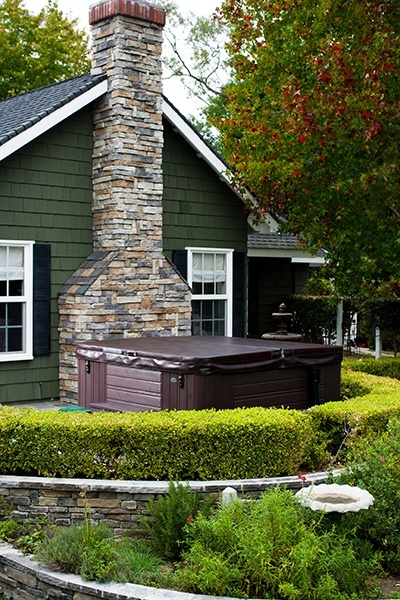 If you are looking to purchase a quality hot tub, you should plan to budget in this range. Remember you get what you pay for, and if the “deal” sounds too good to be true, it probably is! Q: I’ve heard about financing; isn’t that just a gimmick to get me in the showroom? They advertise one base model at a special rate, but I probably can’t finance the spa I want at a reasonable rate. A: This is where a reputable dealer makes all the difference! Ask about financing options that can help you purchase the right spa for your needs at the best value. Think about it this way: Just a few dollars a day – the cost of a fancy cup of coffee –allows you to stretch your spending over a set period, sometimes interest-free. If you want to spend a bit more or add in extras to your spa, such as entertainment, that cost can be part of your monthly payment. Plus, a quality hot tub will last 20 years or more with proper maintenance, so over time, the cost per use is nominal compared to the benefits of owning a personal wellness retreat! Q: How do I know I’m getting the best quality hot tub and service from a reliable dealer? A: Do your research! Most shoppers start with online research today. Hot tub consumers are no exception. Compare top-rated hot tub brands and determine which manufacturer consistently delivers on its promises. Authentic (non-paid) consumer reviews are an invaluable tool – you’ll hear from real people like you who already bought a hot tub. But your purchase is only the beginning; you’ll have delivery and installation, regular maintenance and at some point you may need parts or service. You want a reliable brand with a proven track record, and a friendly dealer you can trust. Buying online can be tricky too; you can’t see or test the spa, and if it is delivered and you’re not happy, what happens then? Who will service it going forward? Before you buy, you want to make sure you are getting a superior experience every step of the way, and for the full life of your spa. Be cautious about buying your hot tub from a super blow out stadium sale or road-show seller who shows up on Friday and pulls out of town on Sunday. Q: What’s so important about the construction of a hot tub? A: Everything! From the shell, to the cabinetry, plumbing, heating and insulation, you want high-quality materials that have been tested and proven, plus a comprehensive, straightforward warranty to back them up. Imagine your disappointment if you buy a hot tub and it begins to sag, fade, chip, leak or won’t heat your water? Beware of a seller who won’t disclose the warranty, in detail, before you purchase! The shell should be as strong as it is comfortable, with seating that cradles your body and is designed to keep you in place when the powerful jets are massaging your aching muscles. The plumbing, heating, pump, motor and insulation are something you don’t see, but they’re so important! They should be robust and efficient, ensuring many years of enjoyment with simple and minimal maintenance. They should also be quiet. With available amenities like gorgeous LED lighting, water features and high-quality audio and entertainment, you don’t want to be distracted or have to talk over the sound of pumps or a motor that sound like a jet engine! To top it all off, the cover should fit tightly and have a dense foam core with a high R-value – you want your hot tub ready when you are. Q: The more jets the better, right? Same with a bigger motor and pump? A: Not necessarily. You want powerful, precise and innovative jet designs placed in different locations and configurations that apply just the right amount of pressure and massage for each muscle group. You’ll also want adjustability that allows you to control airflow, dial in just the right experience and save energy by directing flow to only the jets you want to use. Pumps with impressive-sounding horsepower do nothing more than raise your electric bill if the jets aren’t designed and positioned to make the most of that power. Ask about the overall horsepower operation rating, rather than just the startup rating. And a dedicated circulation pump moves water continuously and uses only a small amount of energy. 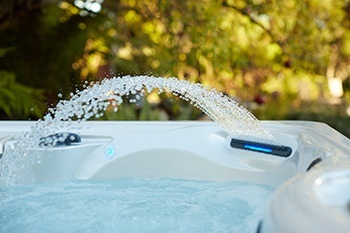 One of the very best ways to find the best hot tub is to take a test soak, Any good dealer will be impressed that you asked and know that you’ve done your homework! Q: What about maintenance? I want to spend my spare time enjoying my spa, not taking care of it! And are smelly hot tub chemicals and faded swimwear just part of using a spa? Do I need a chemistry degree to keep my spa water sparkling clean? 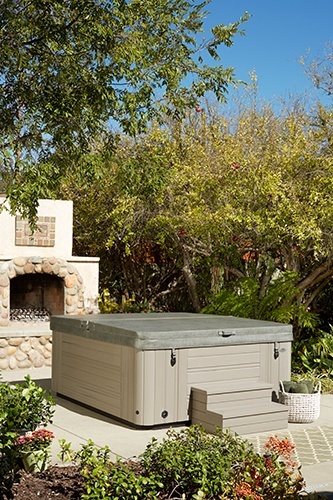 A: Caring for your hot tub should be simple. Yes, regular maintenance is necessary and important, but spa care should be easy. You want to ensure that your spa is clean and healthy and sparkling. A “chemical smell” is not the reality of today’s top-quality hot tubs. The latest innovations in water care sanitize your spa continuously and use fewer chemicals. The water feels fresh and soft, and it’s ready when you are. We hope these considerations help you get the best (and most!) hot tub for your money. A qualified dealer with knowledge and experience can help save you money and frustration. Before you decide to purchase from a big-box retailer or online, make sure you understand who will fix your spa if it needs a repair. Also consider who will handle your installation needs. And remember to take advantage of financing opportunities to get the most for your budget. 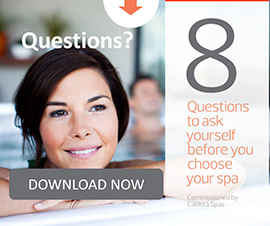 You can learn more about the hot tub benefits and the power of warm water and owning your own spa at calderaspas.com. I like how you mention that having a hot tub that allows you to control airflow on specific jets means that you will be able to save energy. My husband and I are planning on getting a hot tub and we have been wondering how to find the best model for our family. We will definitely have to find one that allows us to completely control the air jets since it will help us save some energy.